At CP+B, I was given the opportunity to rebrand a surfboard company, founded by the legendary Greg Noll. He is an American pioneer of big wave surfing and is also acknowledged as a prominent longboard surfer. He is very well know for the striped board shorts he would wear, which you’ll notice is represented in a variety of my logo explorations. While at CP+B I spent a lot of my time working on Best Buy advertising as well as their website. 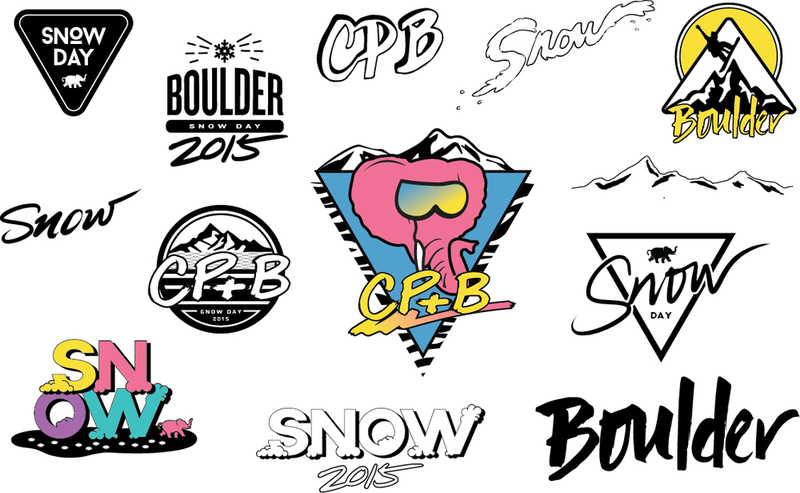 I also got to do a lot of fun, CP+B brand specific projects. Including designing internal documents, holiday party event collateral, and designing a mark for the annual company ski trip. I large chunk of my time at CP+B was spent on pitch work. A stand out case being Infiniti, which we ended up winning as AOR. At CB+B, I worked on developing some iconography for the Dominos rewards program. At HUGE, I had the responsibility of designing a lot of the internal brand materials for the company. Some of those things included swag, stationary, holiday party invites, as well as miscellaneous needs for hugeinc.com. A large chunk of my time was spent working closely with the business development team (and CEO), designing long, complex proposal documents (that I unfortunately can not share).